Season 2010/11 began the relegation battles between clubs in the Worcestershire League. We were challenged by several teams for our existing position in the higher divisions but were victorious in all matches! 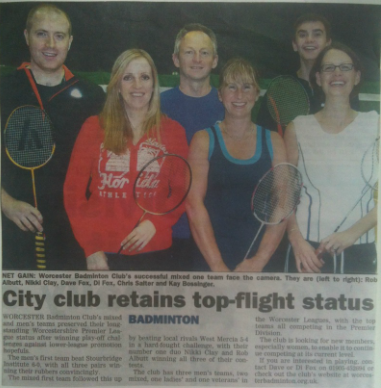 Our mixed 1 team even made it into the local paper...!